I was talking about single player. I want to beat it in insanity but I'm stuck on the second Kai Leng fight. Ah. I played Soldier class through the entire trilogy. All things lacking in the soldier class can be compensated with the right team up. 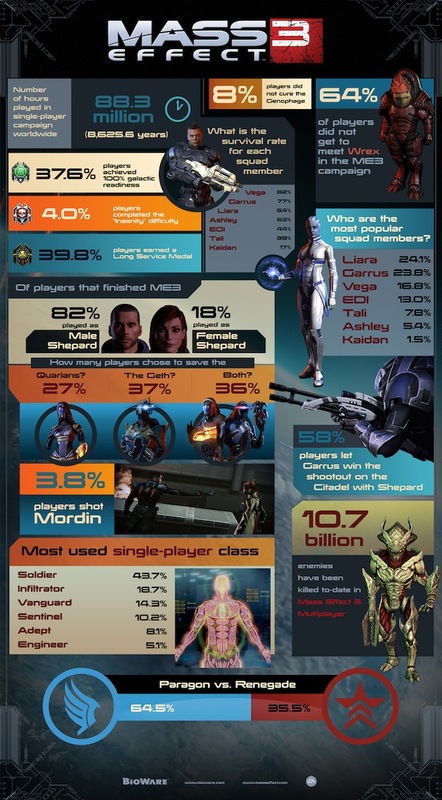 Soldier Shep, Liara, and EDI was my preferred team in ME3. I used my 'bullet-time' ability a lot while fighting Kai Leng. Liara has some crazy powerful abilities when leveled up and can be exploited in combo with some of EDI's abilities. Apparently there is going to be new single player dlc called mass effect: citadel. It's about. Meeting up with old friends and allies. There was some talk of Wrex teaming up with you for a bit. I saw it on ME3's Facebook. They just uploaded the new trailer. Reminder to anyone buying the new DLC, it comes in 2 separate files, since there's a 2GB file limit for DLC.